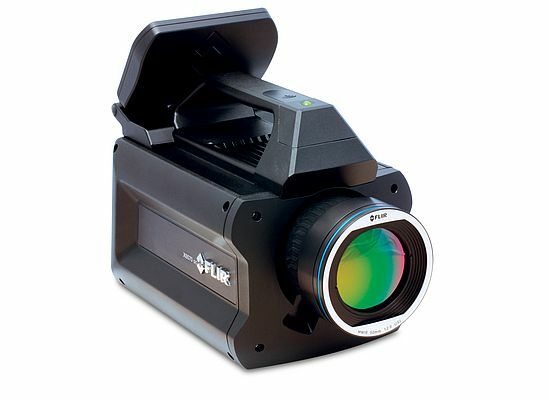 FLIR Systems has announced the X6570sc high-speed infrared camera. The longwave infrared (LWIR) high performance camera offers accuracy and microsecond-precision of the mercury cadmium telluride (MCT) detector paired with an intuitive user experience, so researchers can set-up quickly and get working faster. FLIR engineered the X6570sc to provide measurement accuracy, advanced processing algorithms, and connectivity to the customer. The camera records 640 x 512 full frame video at 234 Hz (up to 14,550 Hz with windowing) with the rapid integration times needed to analyze high-speed processes or monitor fast temperature spikes. The camera is sensitive enough to distinguish temperature differences down to 20 mK, and offers connection options including Camera Link Medium and BNC for sync and trigger with external equipment. An important concern for many research labs is the difficulty of sharing equipment across users, departments, and locations. The X6570sc offers saved user configurations for efficient transfer between test teams. It's also free from import restrictions, so users in multiple departments or cross-border locations can fully focus on their research instead of worrying about export/usage restrictions.